The MCP3208 12-bit Analog-to-Digital Converter (ADC) combines high performance and low power consumption in a small package, making it ideal for embedded control applications. 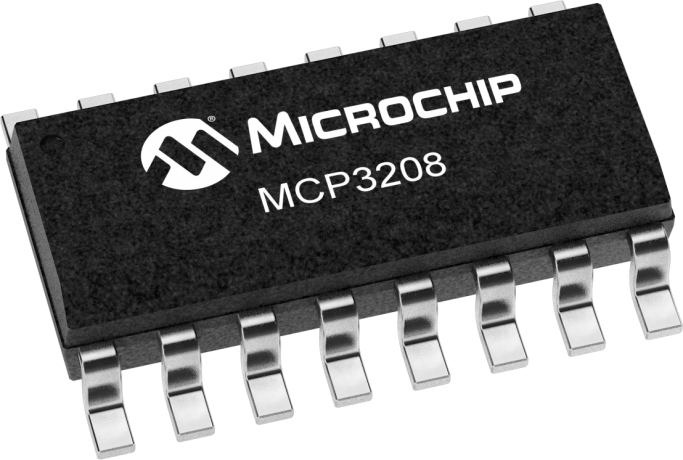 The MCP3208 features a successive approximation register (SAR) architecture and an industry-standard SPI™ serial interface, allowing 12-bit ADC capability to be added to any PICmicro® microcontroller. The MCP3208 features 100k samples/second, 8 input channels, low power consumption (5nA typical standby, 400 µA max.active), and is available in 16-pin PDIP and SOIC packages. Applications for the MCP3208 include data acquisition, instrumentation and measurement, multi-channel data loggers, industrial PCs, motor control, robotics, industrial automation, smart sensors, portable instrumentation and home medical appliances.